Microsoft's Edge browser is less popular with Windows 10 users than earlier thought, if revised data from a U.S. analytics vendor can be believed. 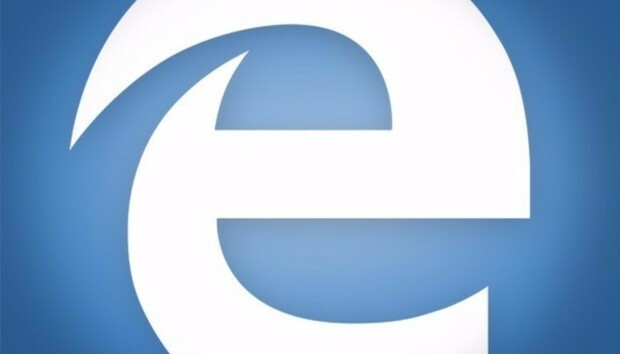 According to Net Applications of Aliso Viejo, Calif., Edge has been designated the primary browser by fewer than one in six Windows 10 users for more than a year and a half. That's a significant downgrading of Edge's user share statistics from the browser's portrayal before this month. During the 19-month span between May 2016 and November 2017 - data for that stretch was what Net Applications offered publicly - Edge was run by between 15.6% (in April 2017) and 12.2% (September 2017) of all Windows 10 users. It never reached 16.7% - or one in six - and trended downward overall, starting the period at 14.8% (May 2016) and ending it at 13.2% (November 2017), an 11% decline. Edge had never been a big performer in the Net Applications' user share sweepstakes, but in earlier data iterations, the web measurement company had painted the browser in somewhat brighter colors. Before Net Applications' methodology modification, Edge was the choice of between 28.5% (in May 2016) and 15.7% (October 2017) of all Windows 10 users. While that was ultimately a steeper decline, for most of the period Edge's share of Windows 10 hovered around the 21% to 22% mark. Only in the last three months did the older data show Edge's place on Windows 10 start to slide, perhaps a sign that Net Applications' new data scheme was implemented before the firm made the news public. Why did Edge's portrait change so dramatically? Bots is the answer. "Bots can cause significant skewing of data," admitted Net Applications earlier this month when it revealed its revised numbers. "We have seen situations where traffic from certain large countries is almost completely bot traffic. In other countries, ad fraudsters generate traffic that spoofs certain technologies in order to generate high-value clicks. Or, they heavily favor a particular browser or platform." These software tools often are deployed by criminals, who program their automated scripts to mimic human online behavior so that they can cash in on ad click fraud. Net Applications did its best to scrub the bot traffic from its data, both current and past. "The primary focus ... was to build detection methods to eliminate this traffic," the company said. "We rewrote the entire collection and aggregation infrastructure to address this issue." The resulting data, which Net Applications implied depicted Edge's real use, showed that the browser was a prime target of bot-wielding scammers. By comparing Edge's old and new shares, it was evident that as much as half of the earlier Edge traffic had been faked by bots. The portion of Edge's share credited to bots fluctuated month to month, but fell below 30% in only 4 of the 19 months for which Net Applications provided data. Edge wasn't the only browser that came out looking worse than presumed prior. Microsoft's legacy browser, Internet Explorer (IE) also was revealed as a Potemkin village. Under the old data regime, which included bots, IE's user share was overblown, at times more than double the no-bots reality. Take May 2016 as an example. With bots, Net Applications pegged IE at 33.7%; without bots, IE's user share dwindled to just 14.9%. Together, IE and Edge - in other words, Microsoft's browsers - accounted for only 16.3% of the global user share last month using Net Applications' new calculations. Back on Jan. 1, however, IE+Edge had a user share of 32.7% with bots, just 17.3% without the shady tools. Put plainly, Microsoft's place in the browser race, while definitely dismal when calculated previously, became ghastly when the bot traffic was subtracted. Other data sources also called IE's and Edge's position weak, and long before Net Applications scoured its data. Irish metrics vendor StatCounter, for instance, has regularly pegged the browsers' usage share - a proxy for activity rather than an estimate of user base - at levels much lower than its American rival. A year ago, StatCounter said IE accounted for a mere 9.8% of the world's browser usage share, compared to the 19.9% of Net Applications with bots and 14.9% without bots. Last month, StatCounter still pegged IE lower (8.5%) than Net Applications' bots-be-gone figure (12%), but the difference between the two data sets has been steadily shrinking. Interestingly, Edge's share of all browser usage on Windows 10 has remained remarkably stable in StatCounter's tallies, falling within a narrow range of 10.1% to 10.9% over the past 12 months. Bottom line: The data from both Net Applications and StatCounter indicate Windows 10 users are shunning Edge, and former IE users are renouncing that browser at a pace alarming to Microsoft. In fact, the combined IE and Edge now face a once unthinkable fate: falling beneath Mozilla's Firefox. That's already happened in StatCounter's figuring, which has tapped Firefox with more usage share than IE+Edge in 12 of the last 13 months. The gap between IE+Edge and Firefox in Net Applications' reckoning is more substantial - with the edge, no pun intended, to Microsoft's browsers - but the disparity is waning. If Firefox can regroup, stem its latest losses and return to the position it had as recently as March, it could shove IE+Edge off the No. 2 spot and claim it as its own. As Microsoft's browser catastrophe showed, anything is possible.